The Missouri Coordinating Board for Higher Education – with recommendations from the Task Force on College and Career Readiness – has identified ways to help students succeed in college and a career. Many characteristics, skills and abilities determine if a student is college and career ready. These include knowledge of various subjects, maturity, self-discipline, perseverance, problem solving skills, and the ability to learn, listen, observe and speak. Students with these characteristics are more likely to succeed in a college environment and, ultimately, obtain a college degree or certificate. 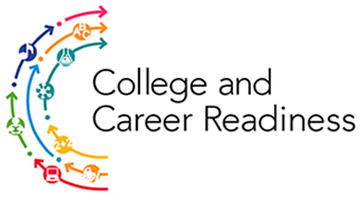 Career readiness is the level of preparation a high school graduate needs to proceed to the next step in a chosen career, whether that involves postsecondary courses, industry certification or entry into the workforce. Academically, college readiness is determined by how prepared a student is for college-level coursework, such as English or mathematics, without needing to take remedial or developmental courses. Not all students possess the knowledge and skills needed to complete a college degree or certificate, and many high school graduates enter college unprepared for college-level courses. As a result, students may be required to take remedial, or developmental, education courses offered by a college or university prior to enrolling in credit-bearing courses. Remedial education can increase the time and cost required to earn a college degree or certificate. Remedial courses are intended to strengthen the basic skills of new college students to prepare them for college-level coursework. Whether or not a student has to enroll in remedial courses is determined by a number of factors including ACT and SAT scores, grade point average in specific high school courses and other measures. Ultimately, the goal of remedial education is to prepare students for success in higher education. With guidance from high school and college professionals, the Coordinating Board for Higher Education has recommended course work for students graduating from high school and entering into college or going straight into a career. It is important for students to take challenging courses during high school to demonstrate their academic abilities. The recommended 24-unit college preparatory high school core curriculum is designed to prepare high school students to succeed in college-level coursework. In addition to these recommendations, students should discuss admission and placement requirements with staff at colleges and universities they are interested in attending. *Although high schools require 3 units of mathematics, it is recommended students take a math class each year throughout high school. It is particularly important for students to take a mathematics course in grade 12. **At least two units of foreign language are highly recommended for college-bound students.